Get Your Forklift Operator Card in Sacramento Today! The city’s location at the top of the Central Valley region makes it a strategic location for all types of industries in the Golden State. A With Sacramento forklift certification from CertifyMe.net, you’ll have the most up to date OSHA safety training, along with the peace of mind that comes with knowing how to avoid accidents. Sacramento’s employment picture projects positively for years to come. Such mass production facilities lead to great opportunities for those looking for forklift operator jobs. T Remember, employers are responsible for Sacramento forklift certification. Learn more about our online forklift school and how to get your forklift certification in Sacramento below. Why Do I Need Forklift Certification in Sacramento? 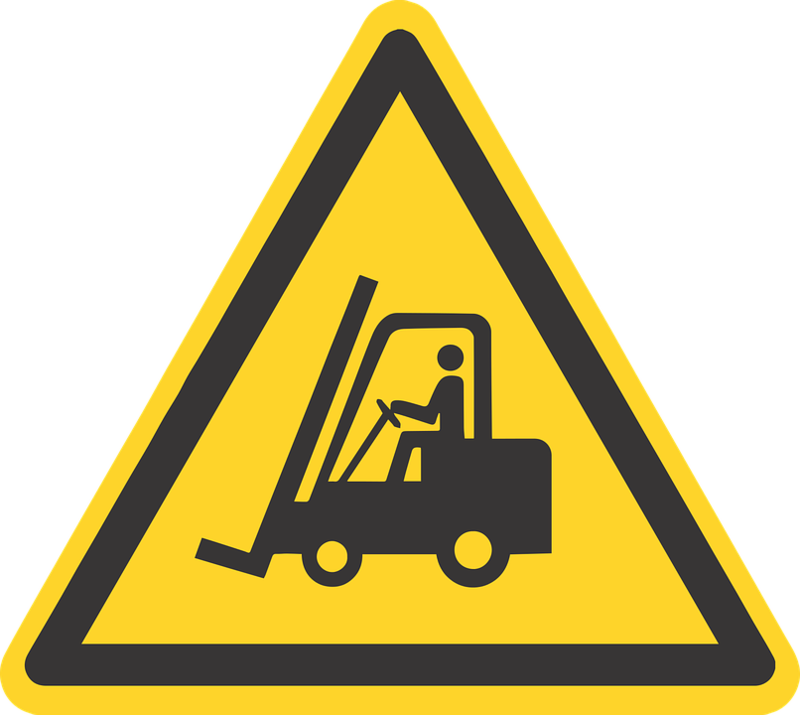 Forklift certification in Sacramento reduces injuries and fatalities on work sites. Workers with proper training improve their overall productivity and increase the overall efficiency of their workplace. Forklift certification Sacramento reduces liability and equipment costs. OSHA-compliant certification reduces the risk of costly fines. With Sacramento forklift certification, there’s a reduced chance to having OSHA audit or inspect your workplace for accidents. Forklift certification teaches workers how to inspect and maintain the equipment, which saves employers money and time due to less frequent repairs. Workers with Sacramento forklift certification are the most successful at completing construction jobs the right way and on time. Sacramento forklift certification is required by law – that’s the main reason why companies choose CertifyMe.net for their training needs! The industrial scene in Sacramento provides many job opportunities for forklift drivers with forklift certification. From warehouses to the deep water port that serves as a significant West Coast dock for many local and international cargo ships. Sacramento is filled with opportunities for forklift operators who have their forklift certification in Sacramento. While our focus for forklift certification in Sacramento is for employers, we’re also a great training source for individuals, too. Sacramento’s food industry is also in frequent need for forklift drivers with forklift certification. Sacramento-based Blue Diamond Growers is a popular provider of California almonds nationwide – they even have offices abroad! You can apply directly through their website, but only after you’ve received your Sacramento forklift certification. You may also be interested in Mondelz International, Inc.. This multinational confectionery, food and beverage corporation, is best known internationally for their snacking and food brands such as Kraft Foods and Monde – and they’re hiring drivers with forklift certification in Sacramento. Here’s a link to their website. These are just some of the jobs and employers you’ll find in the greater Sacramento region. With a booming economy and diverse industrial base, Sacramento is one of the best cities in California for forklift operators. And if you have your forklift certification in Sacramento, you’re better positioned to land a well-paying, desirable job here! All Sacramento employers are responsible for forklift training and certification. With so much competition in the job market, it helps to have a trusted training partner and reliable OSHA compliance asset like CertifyMe.net! Sign up today and get your company registered! Drivers who have forklift training in Sacramento are always in need. But it’s the operators who are compliant with OSHA regulations that get hired first, for the best positions. Higher paid jobs are typically given to those with forklift training in official classes. Sacramento employers are no exception. An OSHA-compliant forklift certification Sacramento program will teach you everything you need to know as an operator, and everything employers will look for in a job applicant. This type of training will equip you with the knowledge and tools you need to drive forklifts safely, all while being the most productive and efficient as possible. Investing in your career is investing in your future, so get certified now! Learn how to get forklift certification. If you plan to ever live and work outside of Sacramento, you’ll still need the same type of forklift training and certification. Learn about forklift training in other California cities. There are a few set requirements that every forklift operator and employer of forklift drivers must adhere to. OSHA’s purpose serves to help reduce the number of accidents that devastate the workplace every year, and by requiring that all forklift employees in Sacramento receive their forklift certification Sacramento, they are helping to keep workers safe and out of harm’s way. Forklift certification in Sacramento also benefits employers, and that’s why OSHA considers it the employer’s duty to provide training and evaluations for all operators. At CertifyMe.net, we take pride in making it easy to receive training that meets OSHA’s requirements. Our Sacramento forklift certification programs provide all necessary materials and information, all tests and checklists, free certification renewals for life, printable licenses, and both English and Spanish options. Learn more about our options for forklift certification in Sacramento below. Easy and Convenient Sacramento Forklift Certification with CertifyMe.net! We have created our forklift certification Sacramento program to provide students with exactly the right info they need for their specific position, in the most convenient method possible. Our training takes roughly 60-90 minutes to complete, and is all online and can be accessed wherever you have a computer and internet access. Once you’ve passed the online portion, one of your fellow, experienced employees will watch you as you complete the practical skills test using the information taught, and you’ll have a certificate of completion that very same day! All of our classes are available in Spanish, offering the most comprehensive Sacramento forklift training and certification around. If you have any questions about forklift certification in Sacramento from CertifyMe.net, please give our OSHA experts a call at 1-888-699-4800. We’d love to help get your company OSHA compliant as soon as possible – thanks for considering CertifyMe.net for your Sacramento forklift certification and training!